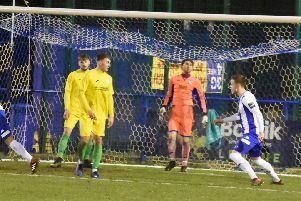 The Sussex FA said Brighton’s continued involvement in the FA Youth Cup and the FA Cup was the reason for rescheduling tomorrow’s Sussex Senior Cup quarter-final against Eastbourne Town at the Saffrons. 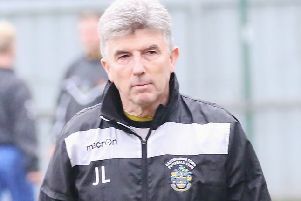 Eastbourne Town manager John Lambert was furious with Wednesday’s call-off and insisted Brighton received preferential treatment from the Sussex FA. Lambert also said that in a previous round of the Sussex Senior Cup this season, Seaford Town failed to raise a team against Bognor Regis and Bognor automatically advanced. However, on this occasion, the Sussex FA opted to reschedule the match at the Saffrons due Brighton’s run in national cup competitions - including the under-18s impressive 3-1 victory at Manchester United last night. A statement from the FA read, “FA competitions take precedence over the Sussex Senior Challenge Cup and we actively support all Sussex clubs progression in any national competition. “We have in the past rescheduled Sussex Senior Challenge Cup fixtures due to clubs progression in The FA Buildbase Vase and The FA Buildbase Trophy, and in this situation the rearrangement is due to Brighton & Hove Albion FC competing in The FA Youth Cup last night, and playing in The Emirates FA Cup this weekend. Speaking earlier today, an upset Lambert complained, “The FA are giving Brighton special treatment. If we went to the FA and said ‘I have a few injuries and players unavailable and I want to change the date’ - there would be no chance. Absolutely no chance. We would have to play it. We would all be told, tough luck but you have to fulfil that fixture. “Are you telling me a Premier League side, with the resources and the pool of players they have, can’t get a team to Eastbourne on a Wednesday - Do me a favour, don’t give me that. I’m fuming, absolutely livid!